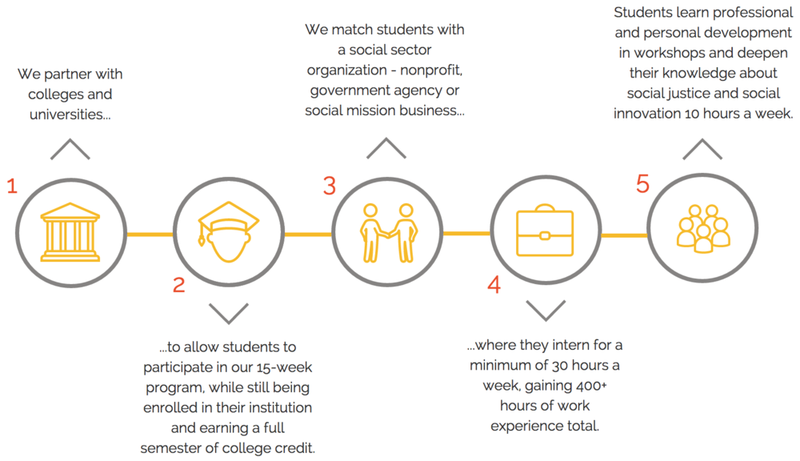 Our Model: We bring together colleges and social sector organizations to create fully credited hands-on learning experiences that are meaningful, accessible, and life-changing. We aim to have 60% of our student cohort be students of color, first generation students, or low-income students. copyright College for Social Innovation 2019.